When we read that God said “Let us make man…” we understand that he ‘consulted’ with the angels. Two angels named עז”א Azah and עזא”ל Azael, objected to the creation of man because they said “he will sin and bring pain and suffering to all”. They were removed from their higher position and cast out of heavens. Why did God consult with the angels? The Zohar said that it was done for us and to teach us humility. When we consult with lower than us, we actually bestow upon them from our own energy. It is like extending a spiritual force to create and open new vessels of desire to receive in order to share. Any light that enters a vessel leaves some of itself behind. Like a person enters in a perfume shop, even if he doesn’t touch any of the perfumes, something will ‘stick’ to him. His vessel experiences that energy and it stays with him. This is an important principal to learn. Every desire that we have comes from a previous experience. The spiritual and physical desires are inherited, even from previous lives. The simple example is that you won’t desire a good chocolate unless you had a taste of it. You can also desire something that you didn’t have when another person shares that experience with you. His words/energy enters into your vessel and builds a desire due to the lack of that thing. Previously we learned that Chanoch received the soul level of Neshamah of Atziluth of Adam and what gave him the ability to ‘walk with God’ (Genesis 5:25) and that he could enter the upper levels without the process of death. This gave him the ability to serve YHVH and control the entire world of Yetzirah (Zeir Anpin). “Chanoch and Elijah were the only ones that passed from the physical to the spiritual realm as humans. Chanoch became Metatron and Elijah became Sandalfon, both are great messengers of God. 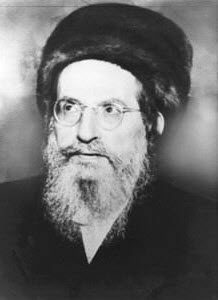 Rabbi Shimon said that Chanoch incarnated in Joseph because he was also called נער Na’ar. His brothers knew that he is ‘special’ and his dreams confirmed that. They had the jealousy that angels had for Adam when God decided to create him. Angels have specific duties/tasks and limited abilities. God created us to be on a higher level than angels and to have control over the entire creation like the good examples of Metatron/Chanoch and Sadalfon/Elijah.